Kate Grey To Visit Our School! Pupils at Fair Oak Junior School will soon be rubbing shoulders with a Paralympic hero. 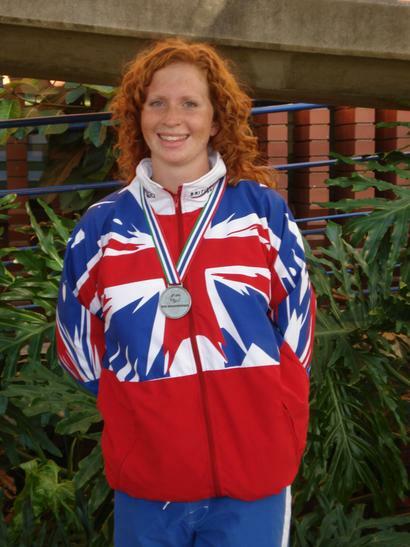 Star Paralympic Swimmer Kate Grey will be putting the children aged 7 - 11 through their paces during a fun-filled day designed to raise money for school funds. Grey will lead pupils in a series of sponsored exercises, from star jumps to sit ups, as they turn keep fit into cash, while also learning all about the importance of a healthy lifestyle. The Great Britain athlete, who won a Silver and Bronze Medal at the World Championships in 2009, will be visiting our school on Tuesday 18th November as part of the Team Super Schools Challenge run by Olympic gold medallists Darren Campbell and Jason Gardner. “It’s fantastic for us to be able to welcome a Paralympic star to Fair Oak Junior’s,” said Head Teacher Jane Laurie. “I’m sure it will inspire our children to take part in sport, whether that be aiming to compete at a high level or just having fun and staying healthy. Pupils will also get the chance to pose for photographs and quiz the Great Britain athlete on anything from eating to exercise and hobbies to heroes.